Play free Equestrian Contest Online games. Arrow keys for movement, Space to jump. Online Equestrian game. 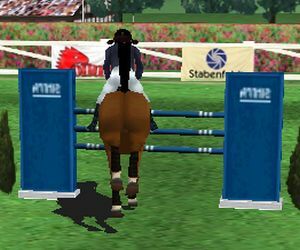 Complete the equestrian race by jumping all the obstacles!